Don’t pull out that flash drive yet! If you unplug a storage device or removable drive from your computer while it’s transferring or saving information, you might risk losing some information. Windows provides a way to help you safely remove such devices. Most USB devices can safely be unplugged and removed. 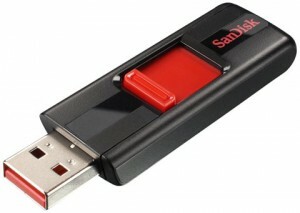 When unplugging storage devices, such as USB flash drives or external hard drives, make sure that the computer has finished saving any information to the device before removing it. If the device has a small light that shows when it’s use, wait a few seconds after the light has finished flashing before unplugging it. If you see the Safely Remove Hardware icon in the notification area, at the far right of the taskbar, you can use this as an indication that your devices have finished all operations in progress and are ready to be removed. If you don’t see the Safely Remove Hardware icon, click the Show hidden icons button to display all icons in the notification area. To safely remove a certain device, click the Safely Remove Hardware icon , and then, in the list of devices, click the device that you want to remove. Windows will display a notification telling you it’s safe to remove the device. Below are some of the common Dell diagnostic lights and their codes. You should refer to the Dell support site to find your specific model and their codes. A B C D — No lights indicates the system is getting no power. You can confirm the outlet is working, but if you are still not getting power, you could have a problem with either the power supply, front switch or the motherboard itself. A — If only the yellow light is lit, this means the computer is off and receiving power. A B C – If A B and C are yellow and D Green, this means the BIOS is not running or not finishing (completing its POST). B — If B is yellow and A C D Green, this means you are having some type of issue with the power supply. C — If C is yellow and A B D Green this means you have some type of problem with the motherboard. A B D Yellow and C Green –This means you could have a problem with your CPU. A B Yellow and C D Green — This means you have memory installed, but there is a problem with it. We here at Eppley try our best to make a fleet of quality printers available for the use of our faculty, staff and researchers. As a result, we have more than 20 printers that we support. Toner for these printers is expensive and the printers print hundreds of pages AFTER they notify you that a particular color is low. Please do not change the toner until the printer says the toner is OUT. The light on the printer panel will be RED if it needs help. Otherwise, don’t feed it please. Yellow doesn’t count as almost red. Because of the large number of printers we have, it is inevitable that there would be more than one model of printer. There are currently two main models of printer in use. Xerox 6180 and 6280. The toner from one type does not fit the other. We regularly come across brand new cartridges that have been discarded because they have been carried to the wrong type of printer. If you need a cartridge when there is not one near your printer and we are not immediately available to get you one, make sure the printer you are “stealing” the cartridge from is the same as your printer. 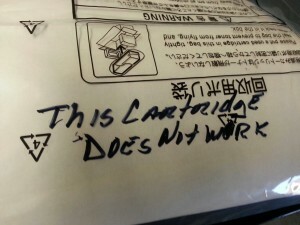 Otherwise, not only will it not fix your toner problem, there is no longer a toner near the printer you took it from. As people get new monitors there are often questions. One of the most common is how in the world can I make everything on this new monitor look as big as it did on the old one. I like the old one better….and to this I say, where is that old one ? There are several things that determine how the screen looks on your monitor. If the pixels on your monitor were square, the ratio of height to width wouldn’t be important. However, the pixels are generally rectangular to make it’s maximum resolution look best. For example a monitor that’s designed to display 800 x 600 resolution might have pixels that are shaped for that ratio of height to width to look good, but an image that has always looked good before will often look out of proportion if it was not in the ratio of 4:3. This is why things often look stretched or distorted when we change the resolution. Every box on the chart represents a commonly available monitor resolution. Boxes with the same colors are complementary, meaning they have the same ratio of height to width as other boxes that color. There are a lot to consider. I guess what I’m saying is don’t worry if your first choice isn’t perfect but try and pick on that’s the same ration as the monitor’s maximum. Divide the larger number by the smaller on your monitor and see what the ration is. Multiply this number by the lower number on some of your choices and see which ones match up. After resolution, your operating system generally offers some options too. 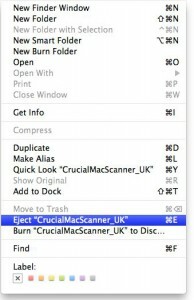 For example, you might try using the maximum resolution your monitor is capable of and then letting your Windows or Mac OS do the rest for you. Be aware that some funky things can happen if you ask for too much. Some things are neat and tidy at their original size but get weird when you ask for something different. Icons for programs for instance are generally a set size (yes, I hear you Mac people, but those are a range of predefined sizes too, it just looks like it’s infinitely variable) But I digress, when you ask for the letters of the font underneath that icon to get bigger sometimes they don’t fit under the icon like they used to and letters spill over to another line or disappear altogether, etc. No harm done, but be aware it can look a little different than you expected. One of the coolest things though is that most of the programs you use have their own size tools, so if you needed the text to be a little bigger in Word or in your Web Browser, you can change it easily without changing the whole system.